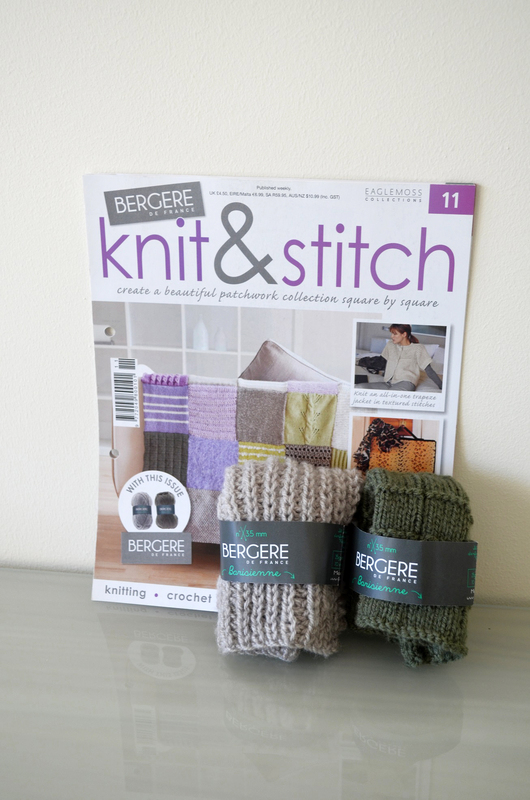 Issue number 11 of the Knit & Stitch magazine included two balls of yarn from Bergere de France – Barisienne in colours Poivre and Titane. 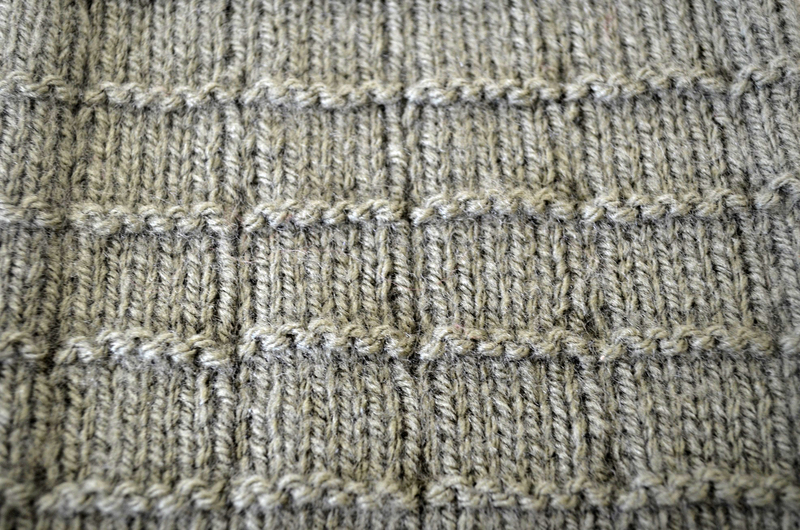 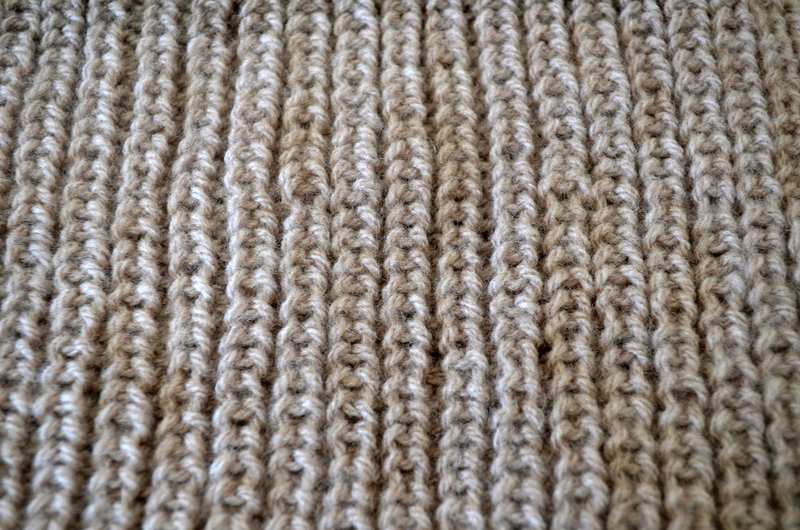 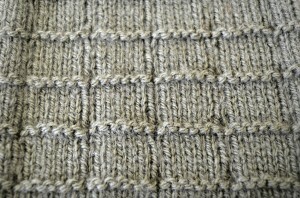 The Titane (grey) yarn is for the Half Fisherman’s Rib Square (patchwork square 8A) and is knitted with 3.5mm knitting needles. 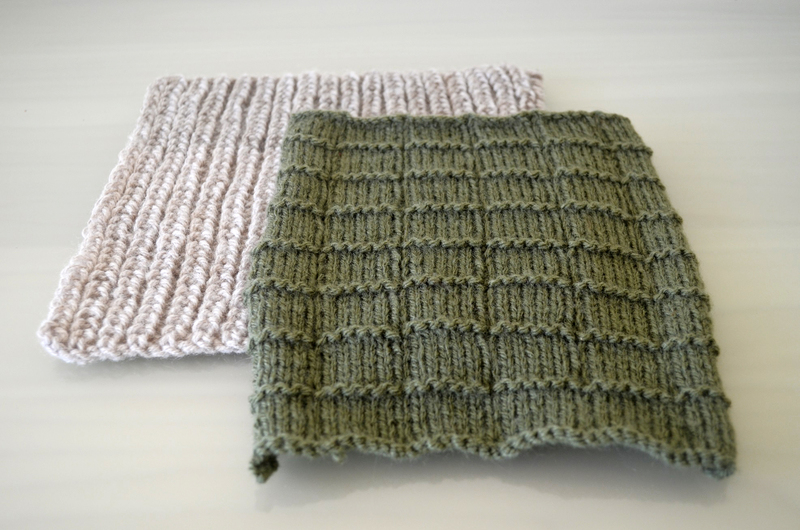 The Poivre (green) yarn is for the block pattern square (patchwork square 2C) and is also knitted with 3.5mm knitting needles.